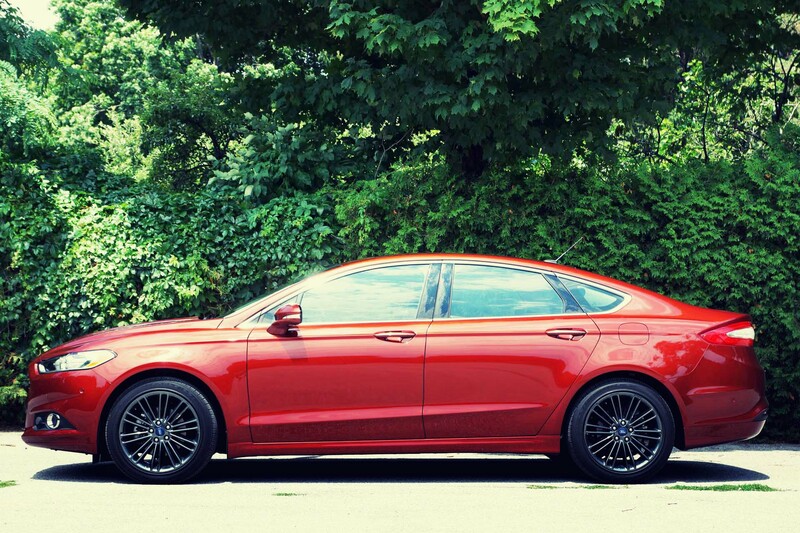 The new motor in the SE trim like the one we have here will set you back $24,599. 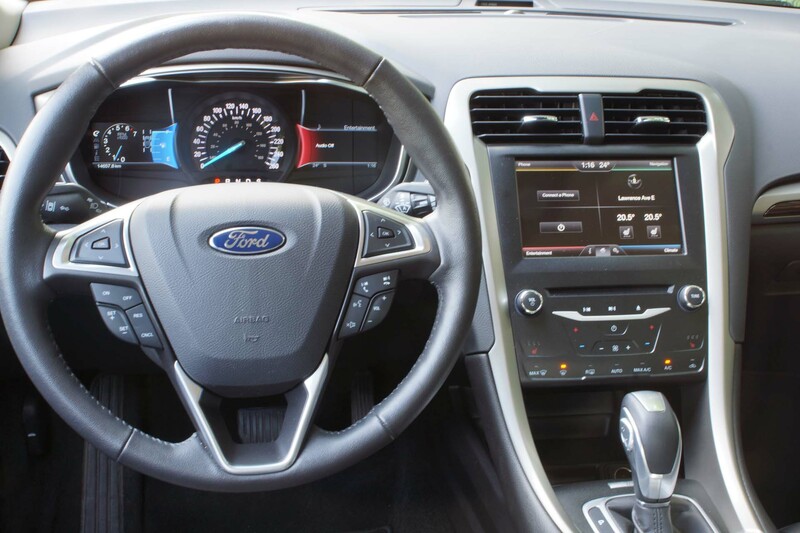 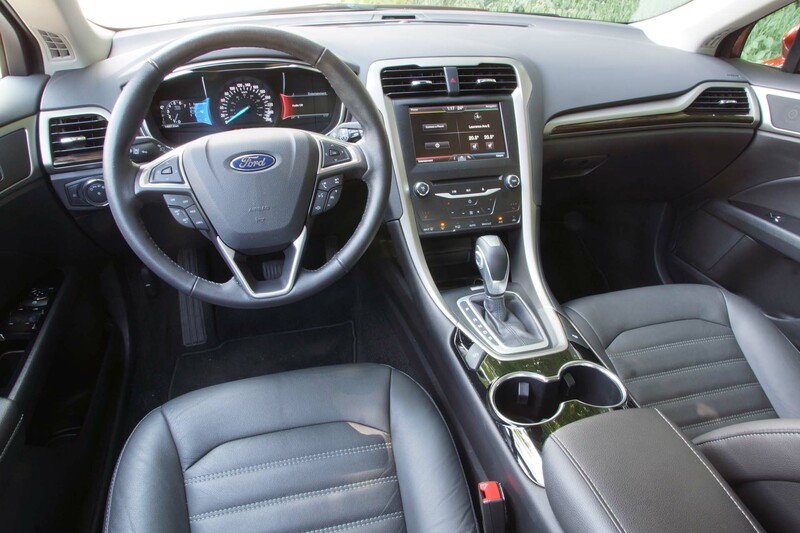 Our SE test vehicle was additionally equipped with the optional luxury package, Driver Assist Package, 18” Gloss Black Cast alloys, Navigation system, Rear View Camera, Ford MyTouch and a few other options that added another $8,790 to the price ($33,389). 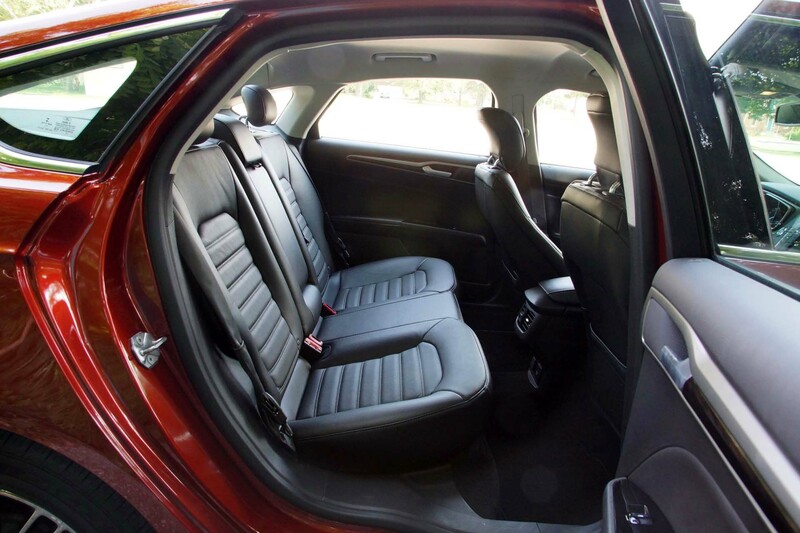 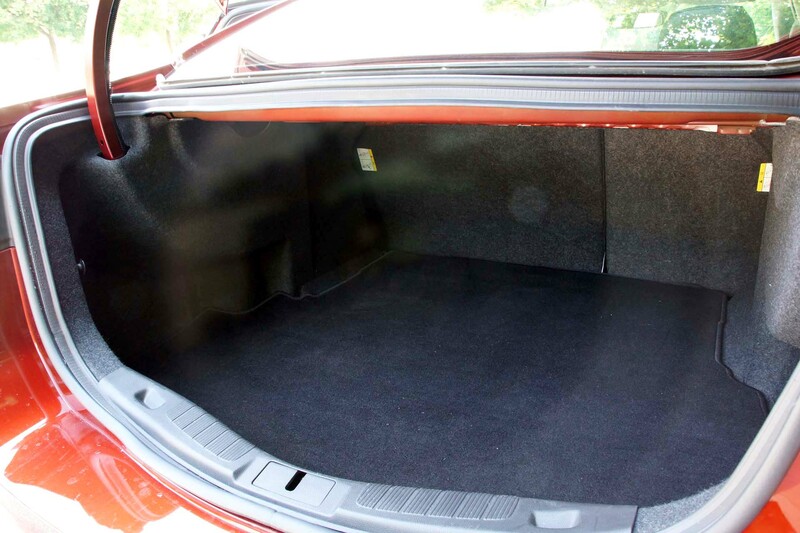 For that, you get the hottest looking family sedan on the market, which is built beautifully with high quality materials, fit and finish is superb, the interior features are very high tech and space is ample in the front back and trunk. The new 1.5L 4-cylinder EcoBoost engine is a gutsy performer and a worthy replacement of the previous 1.6L. 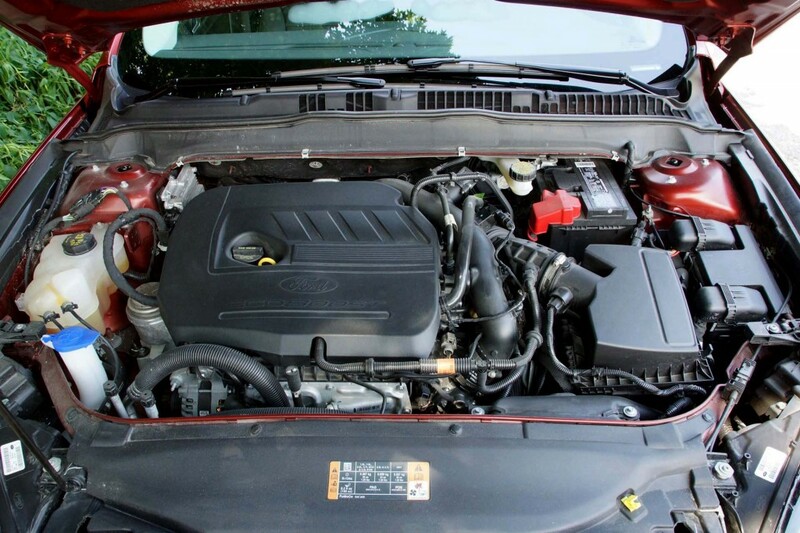 It outputs the same 178 BHP but 177lb-ft of torque, which is just 7lb-ft less. 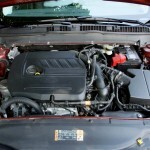 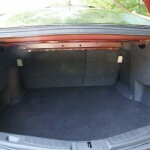 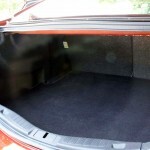 The cooling system is decoupled completely till needed which means quicker warm-up times and even better fuel economy. 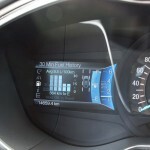 Especially for us Canadians, warming up quicker in winter is very desirable. 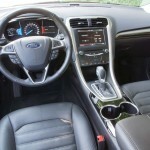 On the go, it is very capable and peppy, not to mention smooth. 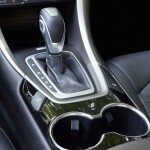 The 6-speed automatic gearbox feels like a CVT and needs a decisive kick-down to get the blood flowing. 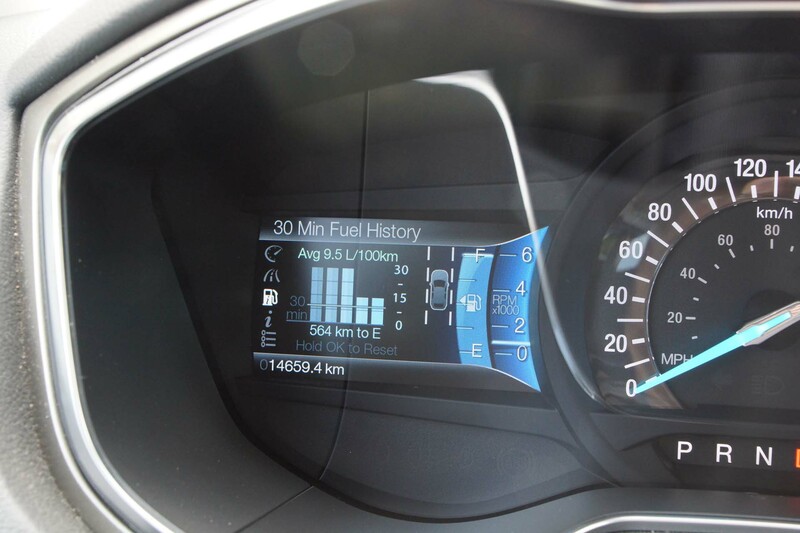 0-100km/h comes in 9.2” while the average fuel consumption during our test was 9.5lt/100km. 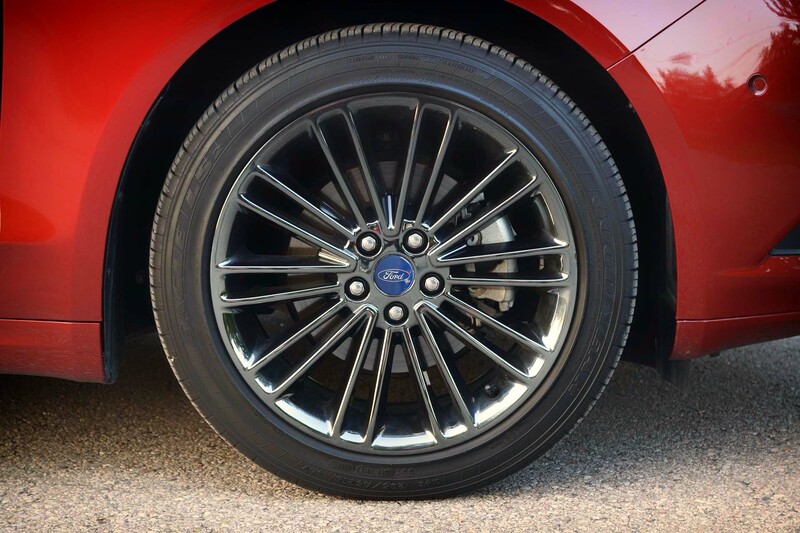 Ride comfort is very good since the all-around independent suspension irons out the road and keeps the cabin shock free. 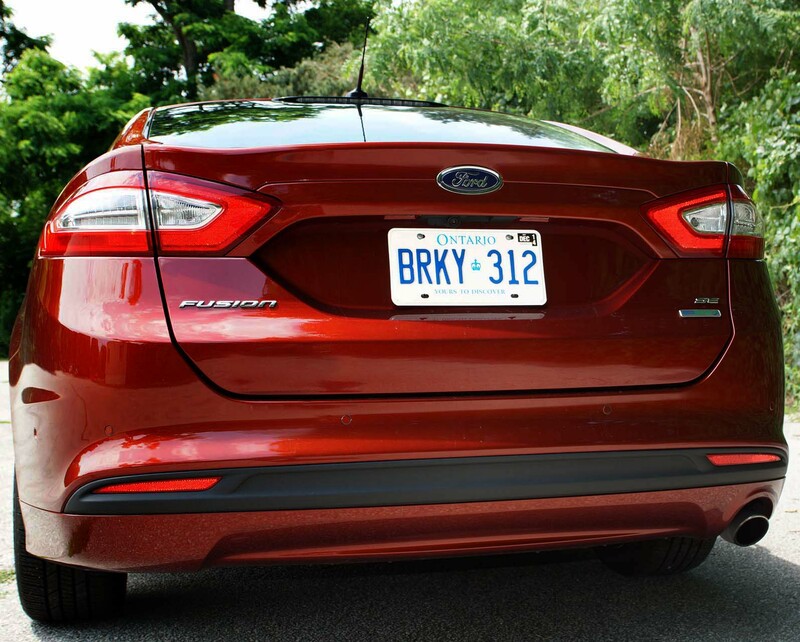 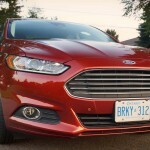 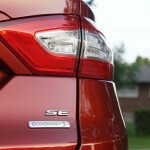 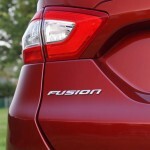 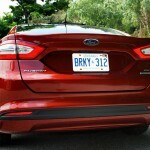 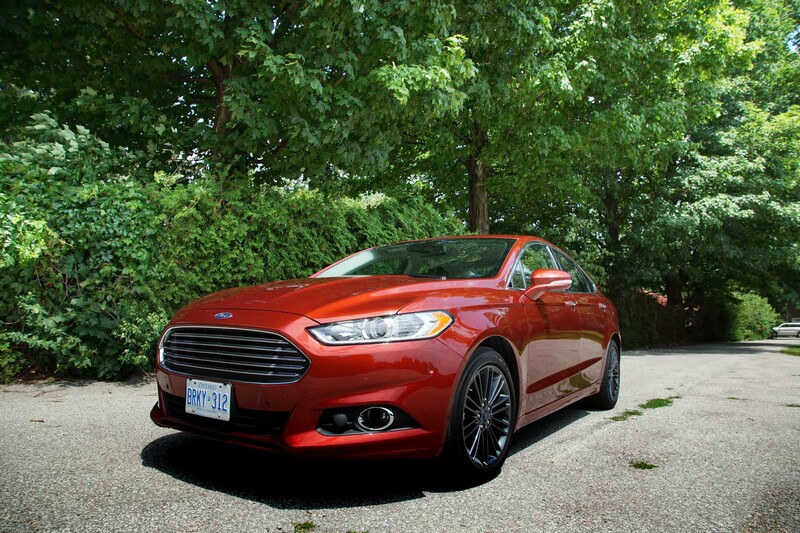 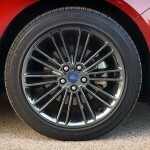 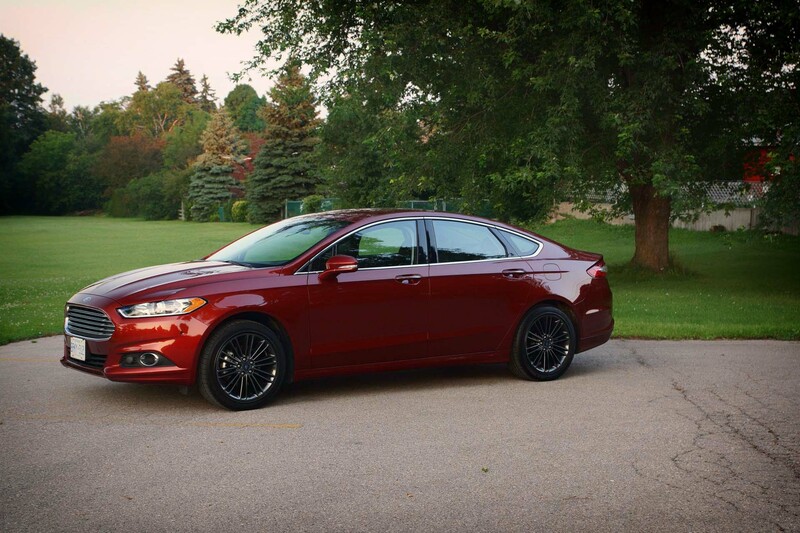 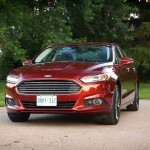 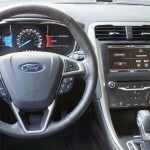 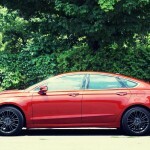 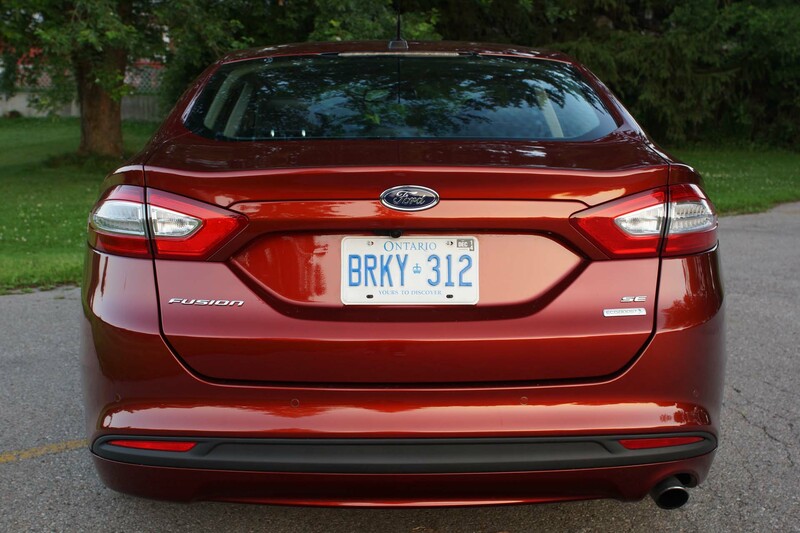 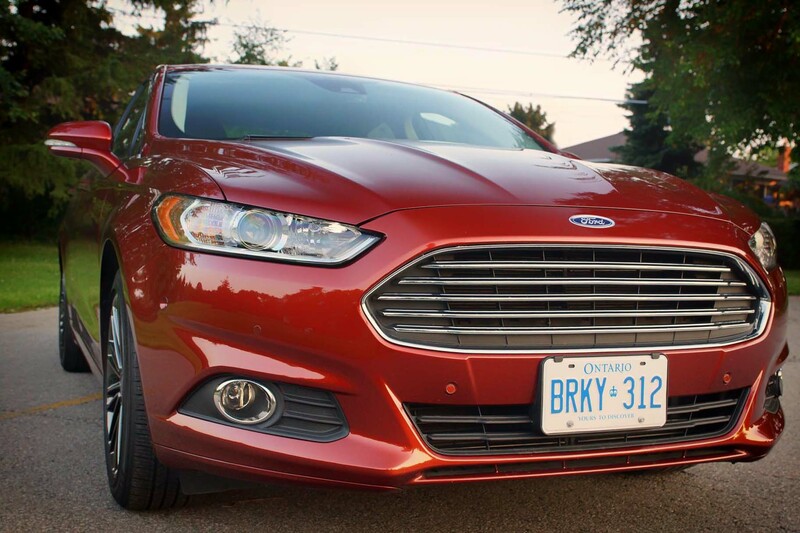 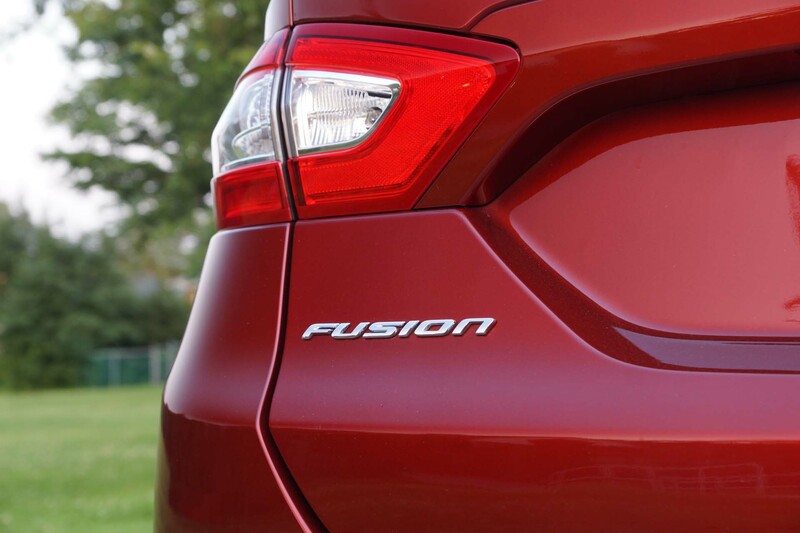 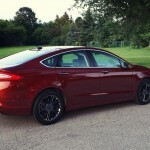 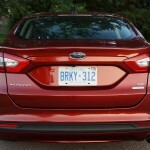 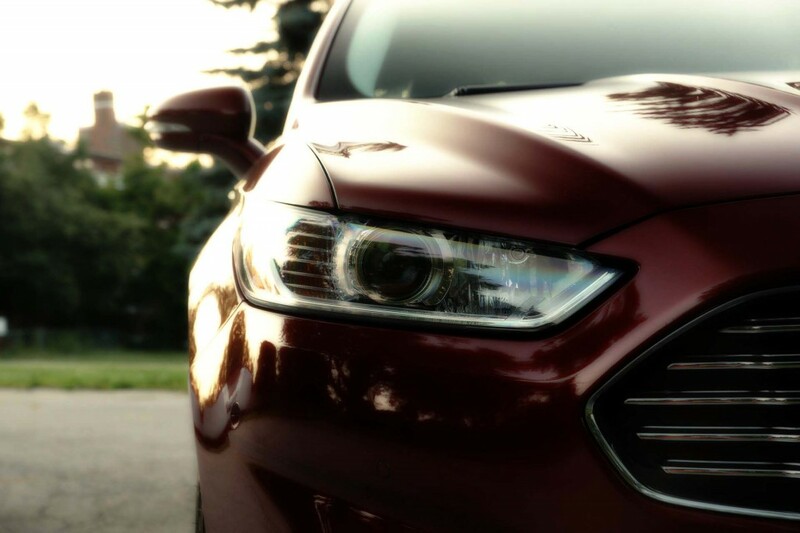 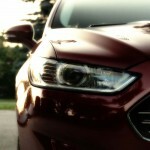 Dynamically, the FWD fusion is a joy to drive and is more playful than the AWD variant. 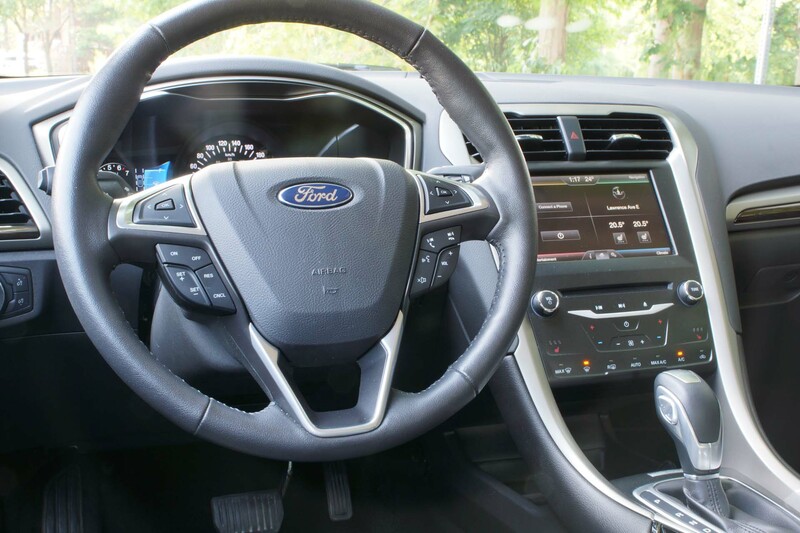 Very progressive and very safe, lift-off over-steer comes without scaring the driver and directing the car with the precise and involving steering is a blast. 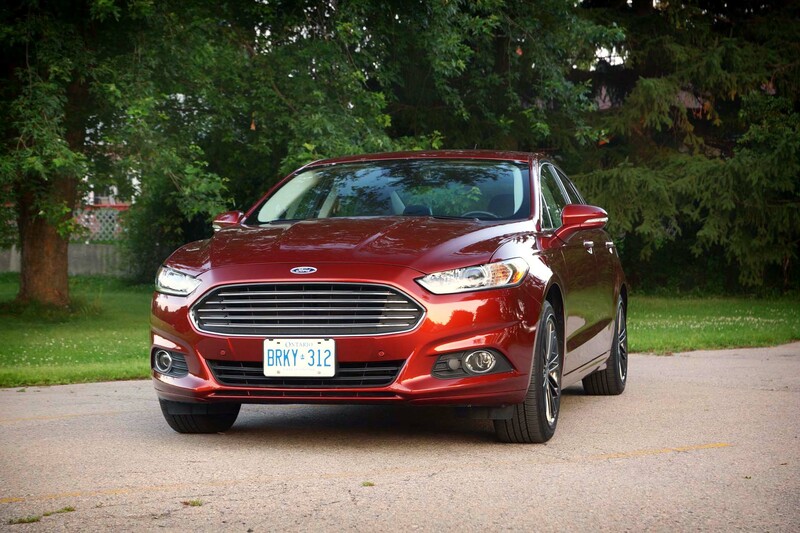 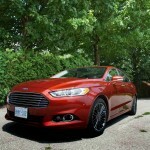 The Fusion and the Mazda 6 are the best cars to drive in the class after all. 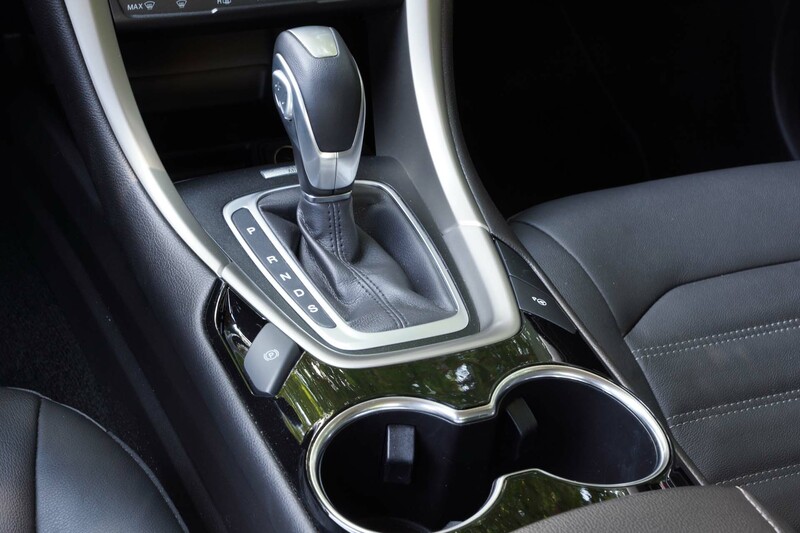 The brake pedal is a bit spongy, but the brakes work very well as from 100km/h it came to a complete stop in 43m. 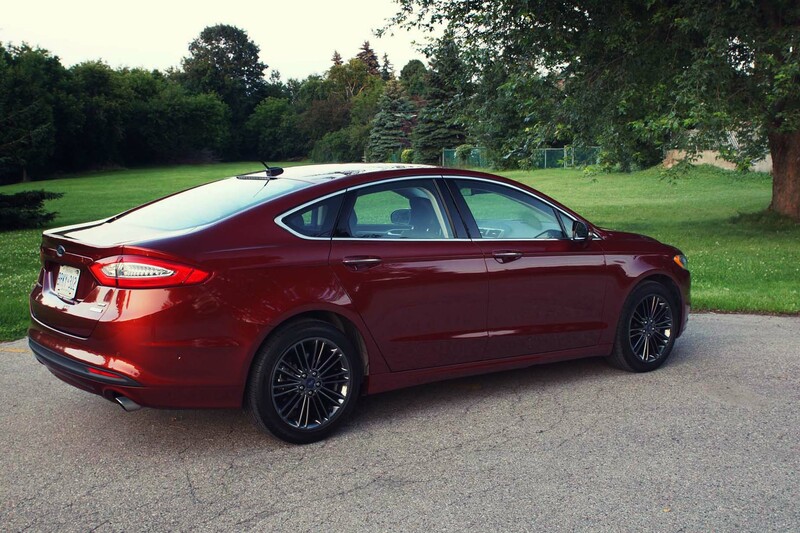 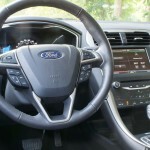 The new 1.5L Fusion is not a compromise in any way, it remains a fantastic long distance cruiser, which looks hot, drives sweet and is not very thirsty. 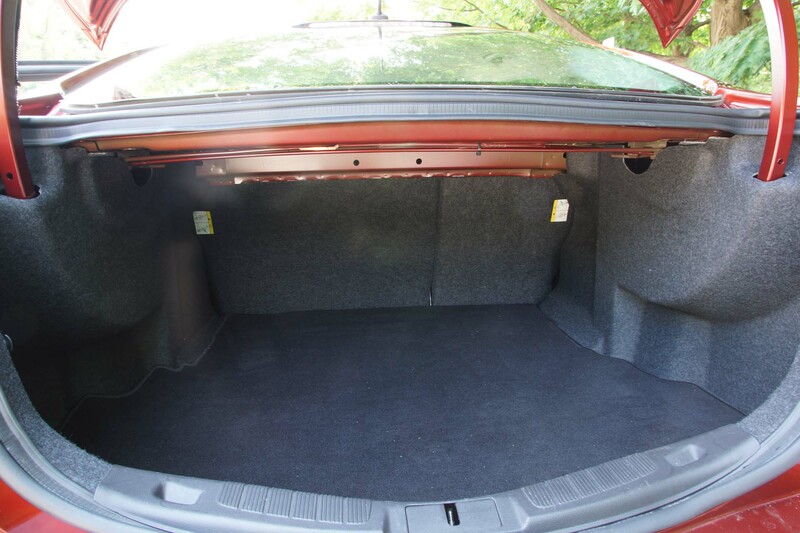 Priced reasonably and equipped accordingly, the SE 1.5 is the most balanced and sensible version to buy. 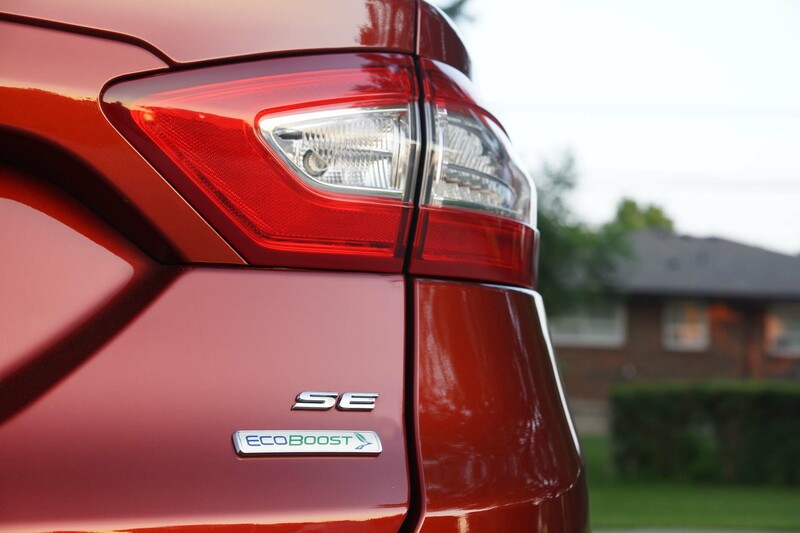 Priced reasonably and equipped accordingly, the SE 1.5 is the most balanced and sensible version to buy.